This week I visited Well Sweep Herb Farm with my friend Toni Ann. It's about an hour's drive from my house, through some really beautiful countryside in New Jersey. There are chickens and sheep, and a beautifully designed herb garden filled with everything from angelica to... well, whatever begins with the letter Z. :) I had to restrain myself from buying too many plants; I already have several that need to be planted. I did buy a myrtle, a basil and a succulent, which I hope to avoid killing on my windowsill this winter. :) If you are looking for a source for herb plants, check out their website. They have a tremendous selection. The herb farm looks lovely, a great place to visit. I would want to buy everything. I wish I had a bigger windowsill. Beautiful photos, have a great week ahead. It's such a good time of the year to visit a place like this. Everything is mature and you can enjoy the variety of scents. Looks like fun! Looks like a well laid out place to find and purchase some herbs. Good luck with your windowsill pots. A beautiful garden. 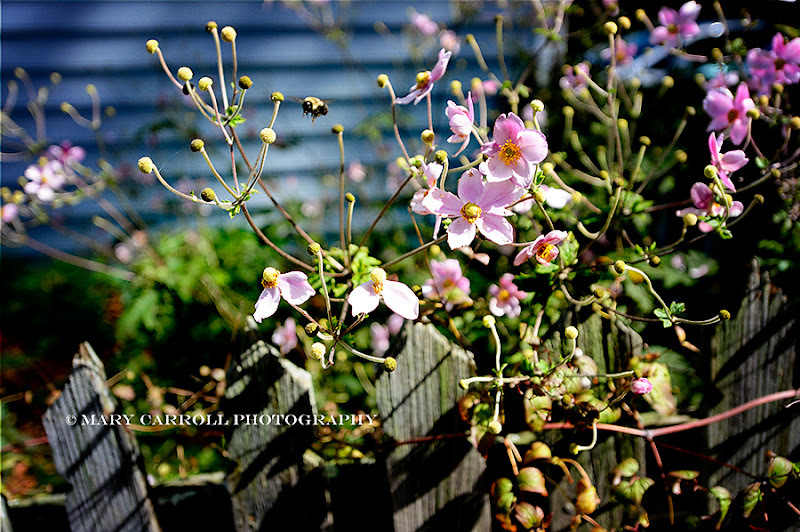 Love the bumblebee in flight. Have a great week Mary. so beautiful! I never tire of seeing the gardens you take us to. Thank you! That's a wonderful place. You did well to get out of there with only a few plants. 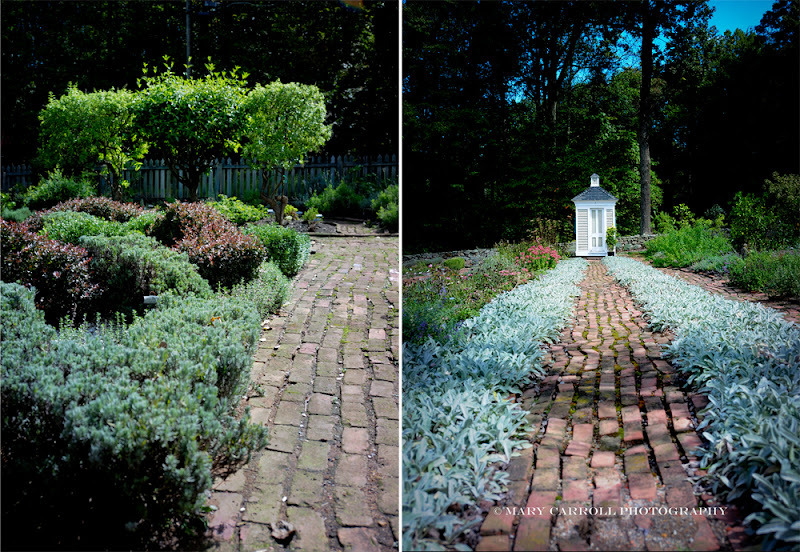 Say, do you happen to know what the blue flowered tree is in the final photo? I have never seen anything like that, though perhaps the shaping of the tree is disguising it for me. What a pretty place to visit!! I did not get a mosaic ready for this week, but want to say "Thanks" for hosting again this week. 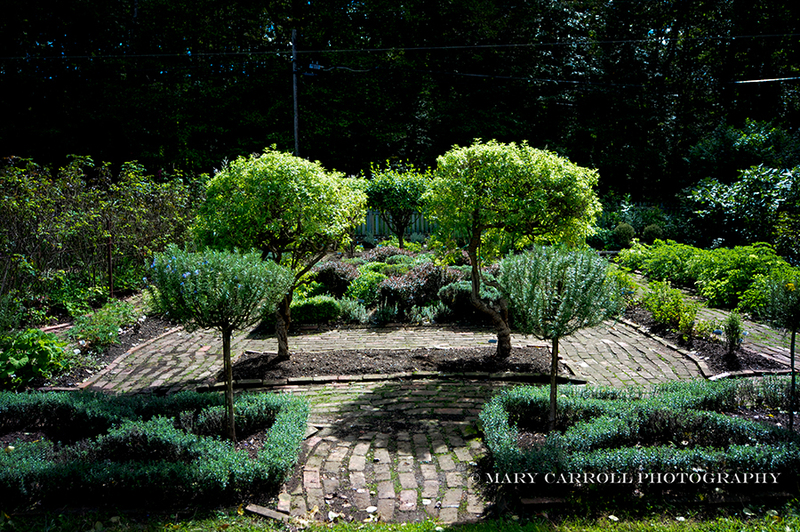 The Herb Farm is gorgeous Mary. I love the primitive brick path. Thanks for hosting. Mary, this is just the kind of place I would enjoy. Beautiful images, as always! Thank you so much for hosting Mosaic Monday. 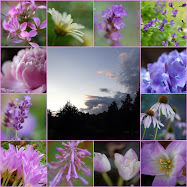 It's always a pleasure participating and visiting all the beautiful blogs that post their photos. Hi, Mary, I hope all is well in your world. Thanks for being such a loyal host, week after week. This is such a great party. Hi Mary. So encouraging when you host Mosaic Monday. Thank you. What a wonderful place to visit. Your photos are gorgeous, as always. I love the one with the bumblebee. I bet the fragrance there was really something. Thank you for hosting Mosaic Monday, Mary. It's one of my favourite places to visit each week. Oh so beautiful Mary! I adore visiting gardens and farms. Thank you for hosting the link up and have a great week. NJ is just full of beautiful places! I adore that brick path. Do you know what that plant is in the first photo? Walking through Cambridge with Charlie last Fri I saw lots of flowers that I think are the same and have wondered what they are. 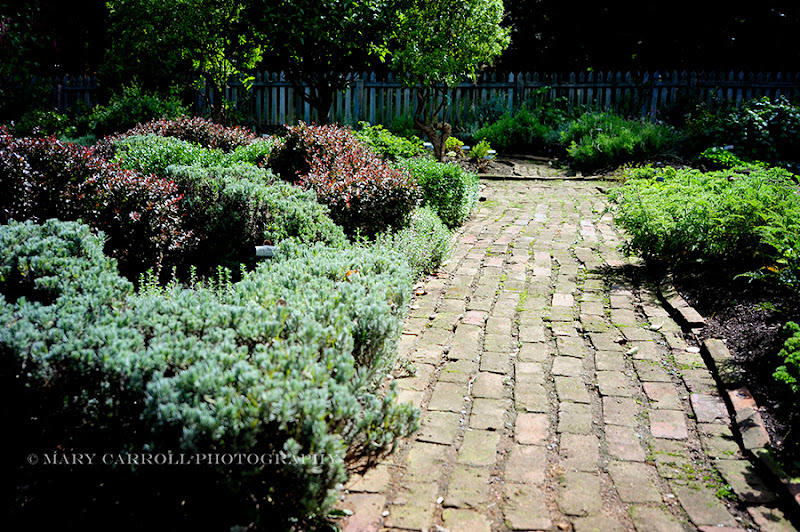 I can just imagine the wonderful perfume in the air at the herb farm. There are so many beautiful places to visit in your part of the world - thanks for sharing this one! 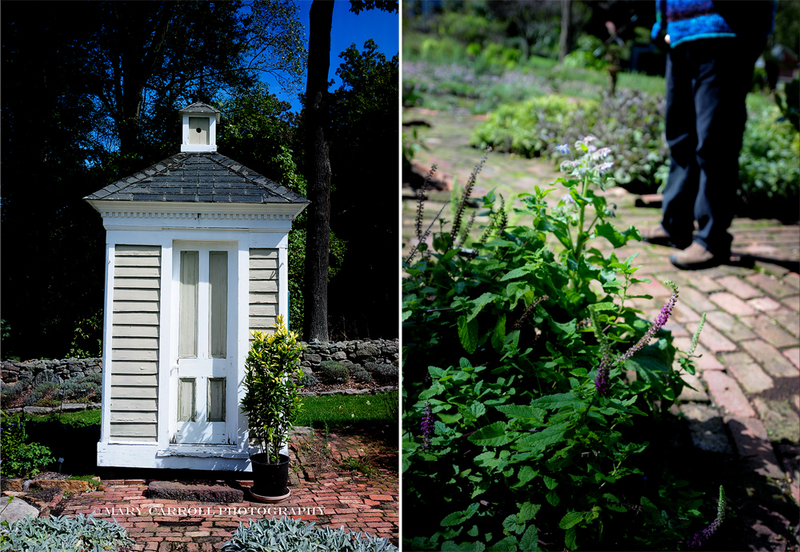 I enjoyed your trip to Well Sweep Herb Farm Mary, a beautiful well cared for garden. I've linked to you to day - I must try and remember to do it each Monday - you're so good to let us share - thank you! Last time I used a pesto sauce I was thinking that maybe next summer I will try to plant some herbs! Meantime I enjoyed the visit to the Herb Farm -- thanks for taking us along. And for hosting MM! Beautiful herb farm. Fragrance must have been nice too. I really liked the photo of the knot gardens and trees. Such a lovely place and gardens. We just planted a few this weekend. Thanks for sharing such beautiful pics and inspiration. Back to buy more at the garden shop. Thanks for hosting. How beautiful all the shades of green are. They draw your eye all around the garden with the different shades and textures. I know it might seem silly but more than anything I love the brick walkways! I hope mine looks like that one day! Hi Mary! We've plunged headlong into Fall in our part of the world, haven't we? LOVE the Well Sweep Farm pictures, and you've given me another destination when I'm out rambling. What a beautiful, peaceful place it looks. It looks like a splendind place to go for a leisurely walk. Lovely. I always love your photos, so peaceful and pretty. . .